A friend of mine, Dan, is running a local Meetup for Fathers and Toddlers. This weeks outing was to the free Home Depot Kids Workshop program. The program is the 1st Saturday of each month from 9am-12pm. The program is free and kids get to build a project at each workshop. 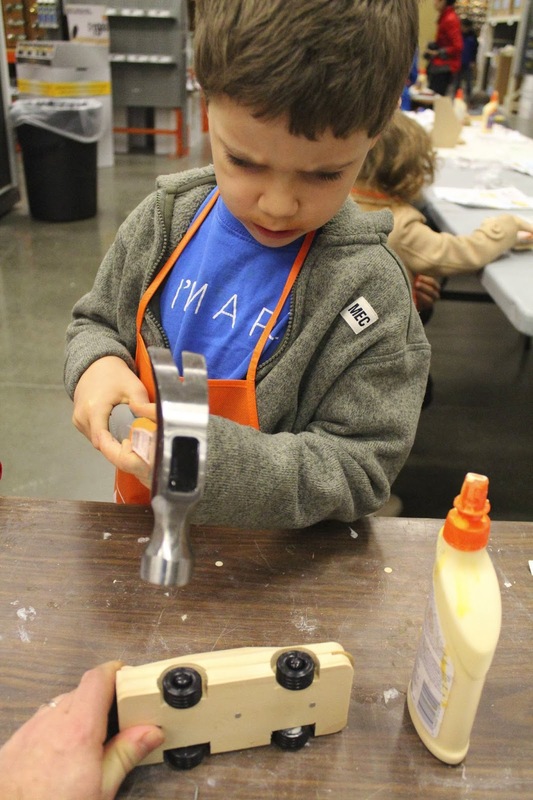 The kids had a great time as they built a wooden Home Depot race car. If you have a Home Depot nearby this is a great program for you and the kids on a Saturday morning. The kids have been racing their cars around this morning when we got home. As well, if you are in Sammamish, Redmond, or nearby then look up the Fathers and Toddlers Meetup to meet some other Dads having fun adventures with their kids. My kids went on Saturday and they loved it! They look forward to the next one all month! Hi Ida, Yes, my boys were excited as well. They are all excited for the next one.